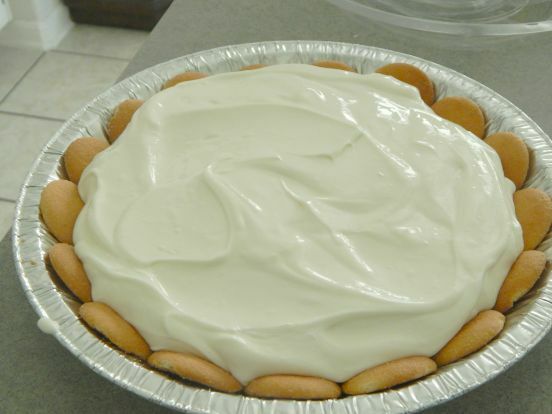 My southern Louisiana born and raised mother-in-law makes THE BEST lemon icebox pie I have ever had! As a matter of fact, I don’t even like other lemon icebox pies, but hers is super creamy and OH, SO delicious! I rarely make sweets, but when I do, it has to be super duper good and easy! This recipe fits my criteria perfectly! 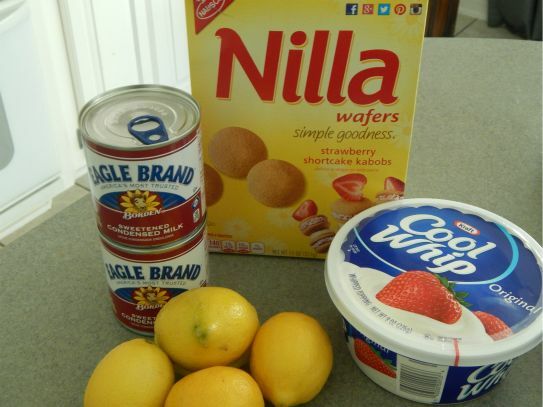 All you need is 2 cans Eagle Brand condensed milk, 1 carton Cool Whip, Nilla wafers, and 4-5 lemons. 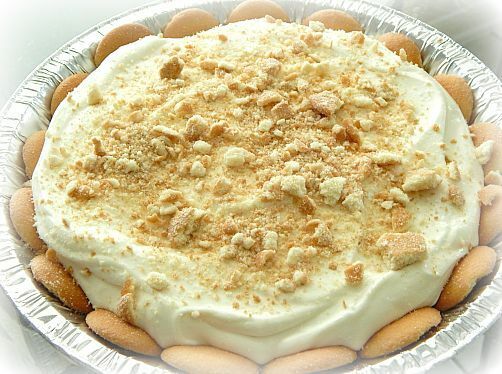 Some people may prefer a graham cracker crust, but my family prefers using Nilla wafers for the crust. 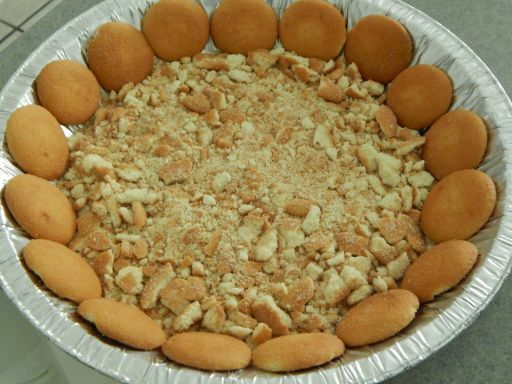 You simply crumble Nilla wafers in the bottom of your pan, and line the edges of the pan with whole wafers. Now, I know you may be wondering how the bottom of the crust holds up, but it simply sticks to the bottom of the pie and is a wonderful combination. Set crust aside, and prepare the pie filling. 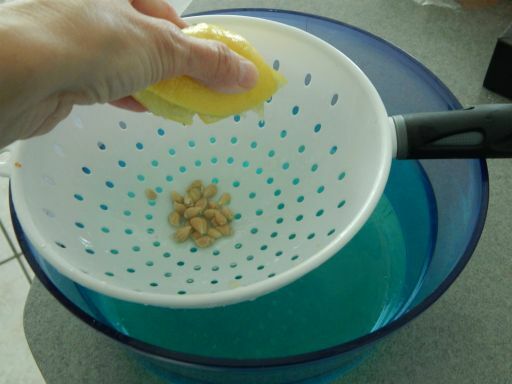 Start by squeezing 4-5 whole lemons depending on how strong of a lemon taste you prefer and on how large your lemons are. 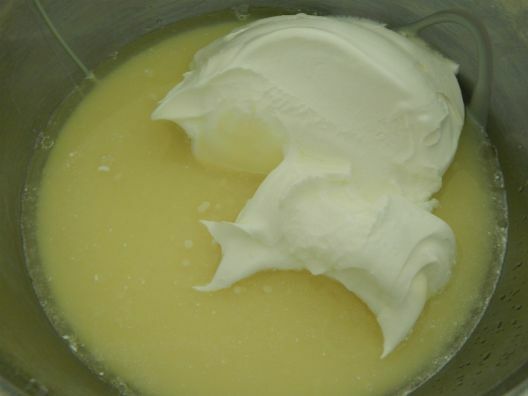 Pour in two cans Eagle Brand milk with the lemon juice, plus 3/4 carton of Cool Whip. 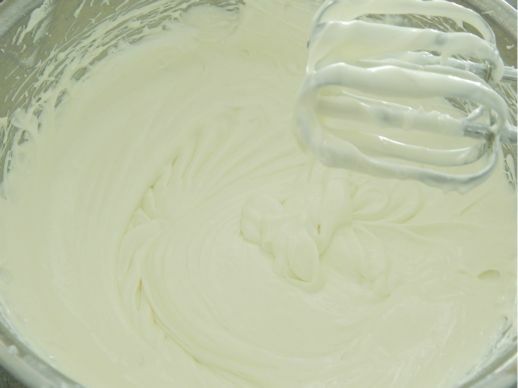 Mix well with electric mixer. Top it off with some more crushed Nilla wafers. Isn’t that simple? Inexpensive and quick to whip up for any occasion. I assure you, it will be a hit!